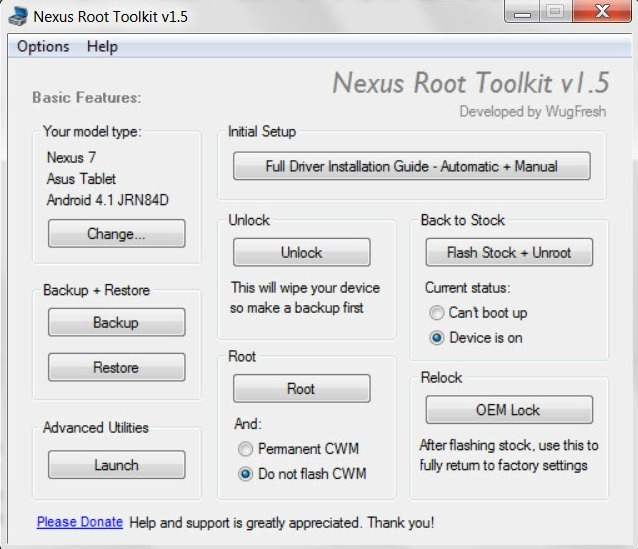 When your Nexus 7 arrives, you should be able to unlock its bootloader, root it, and have a custom recovery up in a matter of minutes. After all, it is a Nexus. But if doing things the manual way isn’t for you or you simply don’t have enough time to type “fastboot oem unlock,” then a root toolkit should be right up your alley. WugFresh built one a while back that continues to be updated with support for new Nexus devices, including the Nexus 7. Without having to worry about drivers and the Android SDK, you can use a root toolkit like this, press a couple of buttons, and be on your way. Cheers John, Shannon, and Mike!